Description: I wanted some sort of mobile storage solution for when I want to work inside (or outside) instead of in the garage where my tools live. And a flat surface that I wouldn’t have to worry about scratching would be a bonus. So when my local Ikea was selling the Bekvam kitchen cart for $20, I did some searching and was inspired by Jan Propok’s drilling machine table. I couldn’t justify $100 for the Alex drawer unit when I only spent $20 for the cart, so I did some measuring and found that the Antonius plastic bins fit perfectly! Like Jan, I assembled the Bekvam but without the centre shelf. 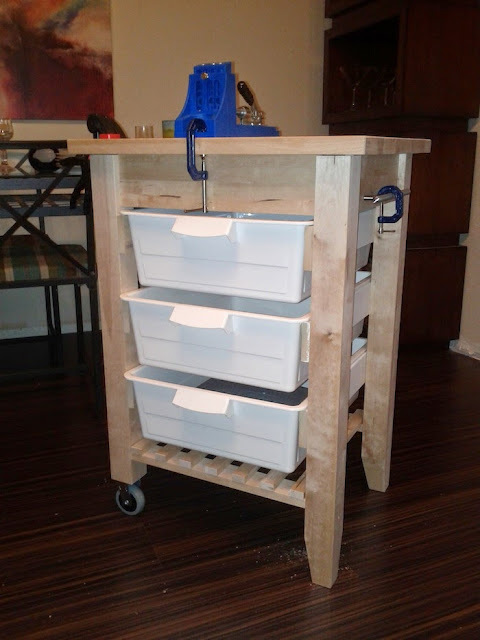 I had some spare trim in the garage, so I cut it to size with a mitre saw and screwed 3 pieces onto the insides of the cart to act as drawer slides. 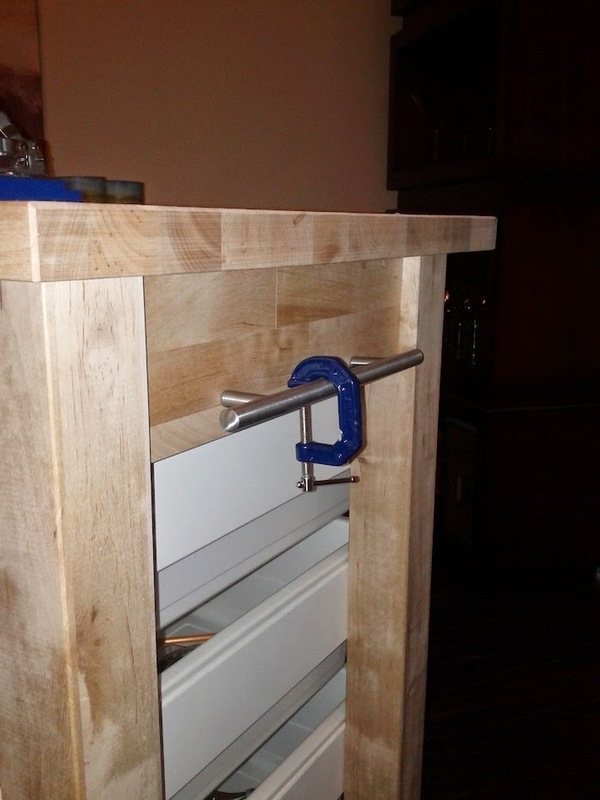 The drawers only fit one way, so make sure you dry fit everything to make sure it works. The trim I used is 3″ baseboard at 5/8″ thick (although you could easily use 1/2″ thick). 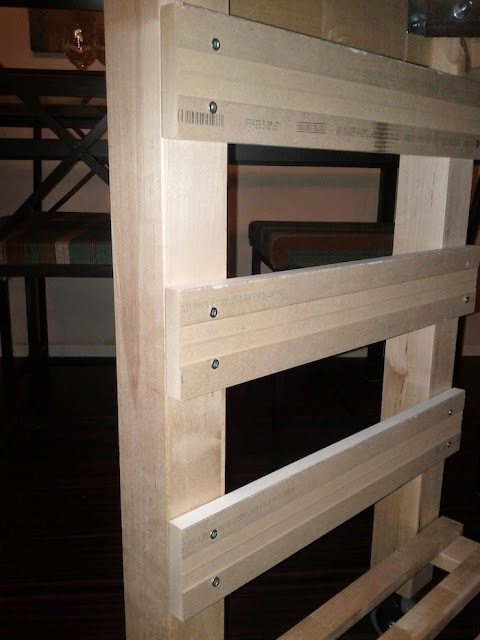 Be careful when you screw it together because the baseboard is very soft and the cart is very hard and you might break your screws… I pre-drilled my holes and I still had trouble. I added a cabinet handle (Lansa) I had left over from my kitchen reno to hang rags or paintbrushes or anything else I want to keep handy.